I have about 15 credit cards right now. Maybe that seems like a lot to you, but if you know how to use them (and how NOT to use them) having a lot of credit cards can be awesome. I plan on getting many more! I've mentioned before that every once in a while a credit card will give you a deal or bonus offer (on top of the sign up bonuses). 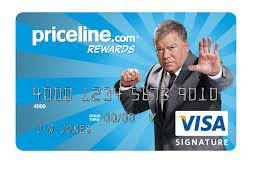 Well, right now the Priceline.com credit card by Barclay's has offered me (and many others) 10,000 bonus if I spend $500 in the months of July, August, and September. This will be easy for me to spend that much (see the related posts on the bottom) so basically I'll get $100 FREE (10,000 points= $100 credit statement)! Now if I didn't have this credit card (like many of you reading this post:)) then I would not have had this offer extended to me. Hence, if you can manage having a lot of credit cards, you can get some pretty cool offers. Many credit cards will send out periodic offers like this (recently Discover It gave me a $250 offer and the NFL card had a similar offer). Now I don't recommend keeping credit cards that have annual fees for over a year. Unless you really, really like a credit card that has an annual fee, cancel it or have the credit card company change it to a credit card that doesn't have an annual fee. Don't have the Priceline.com credit card? You won't be able to get this offer right now, so I'm not sure that I would recommend getting this card. The reason I got the card in the first place was that I got it with a $50 bonus and more importantly a 2% cash back on ALL purchases. However, this 2% cash back is no longer available to new applicants, so it's basically no better or worse than any other credit cards. The whole point of this post is to show that the more credit cards you have, the more opportunities you'll have to earn awesome bonuses. So if you have a chance to get a credit card with good rewards/bonuses, go for it!...As long as you know how to be responsible with these cards! If you LIKE what you've read, LIKE me on Facebook for more awesome deals and ideas!